Former Hatters defender Simon Ainge has joined Town’s Conference rivals FC Halifax Town. 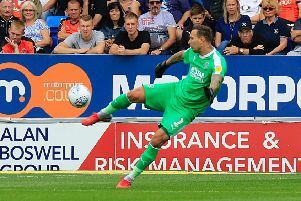 The 25-year-old who was made available for transfer by Luton at the end of last season, had been released from his contract on Thursday along with midfielder Danny Spiller. To read an exclusive interview with Ainge, see next week’s News/Gazette, while for all the latest Luton Town FC news, reports, stats, player profiles, live match updates, MOM poll, prediction table and a complete fixture list, visit our Hatters Microsite.